Make sure you have the right tools for the job and save time when purchasing tools by choosing these hand tool kits. 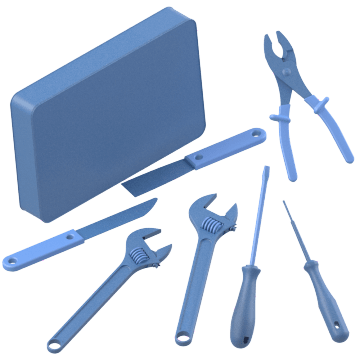 They include a variety of tools that are coordinated by industry or task, from general-use kits for everyday maintenance and repair work to kits with tools for plumbing, electrical, aviation, first responder, automotive, and tiling applications. The number of tools included varies from kit to kit, so be sure to choose the kit with the tools you need for your application. 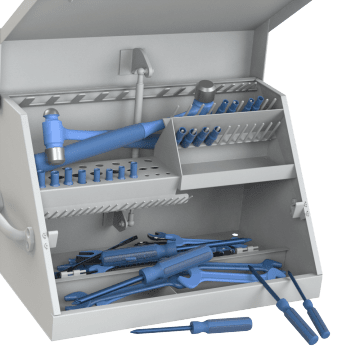 To keep your work area tidy or prevent damage to the tools during storage and transportation, select a kit that comes with a case, bag, pouch, cart, or cabinet for organizing the tools when not in use. Use these versatile tool kits for a range of everyday maintenance and repair tasks. They contain a selection of popular tools like pliers, wrenches, sockets, measuring tape, hammers, saws, and screwdrivers. Run wires in buildings, work on outdoor lines, install data and communications equipment, repair electronic devices, and accomplish other electrical jobs with the tools in these kits. 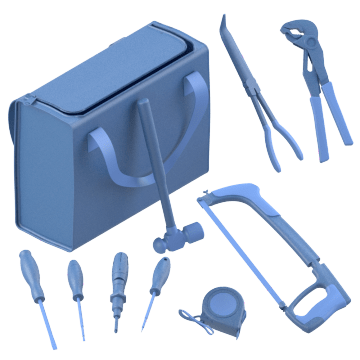 They include a variety of tools such as wire strippers, pliers, wrenches, measuring tools, saws, punches, and soldering irons. Install, maintain, and repair heating, ventilation, and air conditioning (HVAC) systems using the tools in these kits. 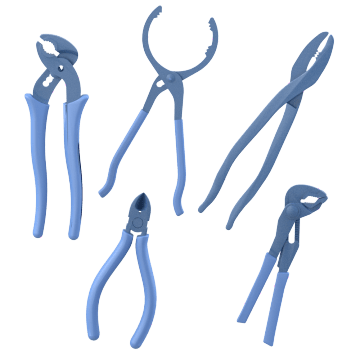 They include a variety of tools such as pliers, screwdrivers, snips, cutters, and wrenches. Tackle plumbing and pipe fitting jobs using the tools in these kits. 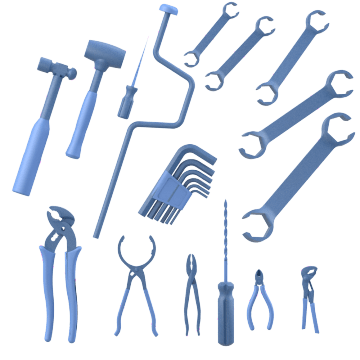 They include a variety of tools for different plumbing tasks, such as pliers, wrenches, sockets, leveling tools, and saws. Find kits with the tools you need for your automotive repair jobs. They include a range of tools such as hammers, picks, and dollies. 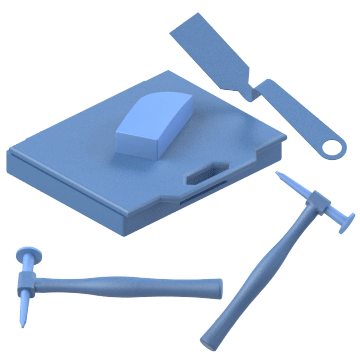 Achieve a professional finish on your tiled floors and walls with these tiling tool kits. 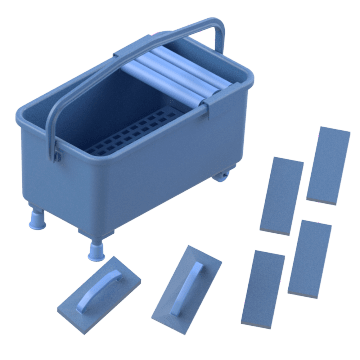 They include tools for various tiling tasks, such as scrubbing and scraping pads and floats. 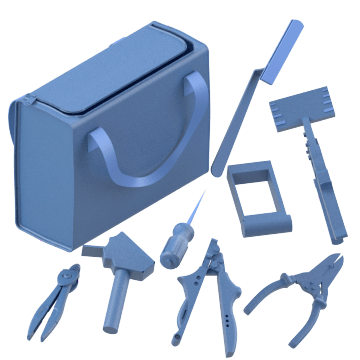 These kits include an array of tools for aviation and aircraft repair tasks, such as pliers, screwdrivers, snips, cutters, and wrenches. Designed with firefighter, hazmat, and emergency crews in mind, these first responder kits contain tools for handling different types of emergencies. 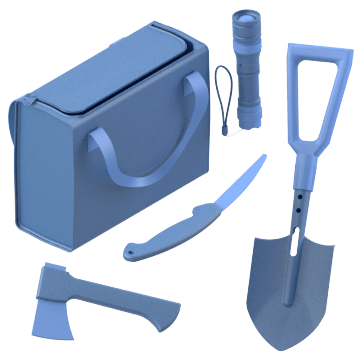 They include an assortment of tools such as pliers, wrenches, handsaws, axes, picks, shovels, flashlights, hammers, and scrapers.